Steemit.com is a social networking site that shares its value with its users. Simply put, you could say that you pay your users for writing, reading and choosing valuable content through voting, but that's not all. Social network Steemit was established in March 2016 on the initiative of Ned Scott and Dan Larimer. Its creators wanted the portal users to care for the atmosphere in its prevailing atmosphere. At the same time, freedom of expression was to be preserved. However, unlike similar such websites, users earn on creating content. Payments are based on a steem cryptocurrency that can be exchanged for dollars or other cryptocurrencies using online exchanges. Interestingly, it turns out that the founders' assumptions are working. The portal has created a community that creates valuable content and rewards positive comments. All thanks to the additional financial motivation - everyone wants to be liked. Consequently, hardly anyone decides to strain their reputation with a malicious commentary or ordinary trolling. The service is also popular outside of United in which he was created. One of the most active users in Africa earned over $ 41,000 in just a few months. Steemit in terms of content does not differ from other social websites. Its users run thematic blogs about travel, photography, art and even economics. In this way, they build a community that provides them not only recognizability but also money. The difference is that instead of earning money from advertising, they receive a virtual currency payment for the content they publish. STEEM - token generated in the Steem blockchain. It is a cryptocurrency that we can use like any other. This means that we can buy or sell it at any time, and its current value can be checked, for example, on the coinmarketcap. 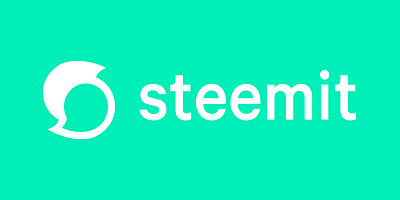 Using the wallet available on the site, collected STEEM can also be exchanged for Steem Power to increase the strength of your voice. Steemit - exchange your thoughts on cryptocurrencies, or how the mix of Facebook and Bitcoin looks. Steem Dollars (SBD) - the second of tokens generated in Steem. Its name is an abbreviation of STEEM Blockchain Dollar. It was created to provide security against various speculations, and its value should always be $ 1. How much it is worth at this moment is also checked on the coinmarketcap page. The SBD currency can be purchased in two ways - by buying on the outside or through your Steemit activity. Steem Power (SP) - this unit reflects the amount of STEEM we have placed on Steemit. In other words, this is our investment in the platform. This is what determines the strength of our voice. We acquire Steem Power by publishing content for which other users will give us a vote, we receive it for votes on other people's posts or through the exchange of STEEM collected by us. Why do I need STEEM? If you're a blogger or vlogger or plan to become one, you can start publishing now. The platform will store and share your content online for free. If you are struggling with censorship and you have problems with monetizing on YouTube and you'd rather not give your recipient this advertising slur, you'll probably be able to quickly turn off the display of your ads by posting your videos to Steemit as well. If you represent a group or association such as a nearby Animal Shelter or other cool activity, then surely Steemit is for you! There is definitely someone in the group who takes pictures, inserts graphics and I write or can write about what is happening in your community. You are probably doing it at the moment on social networks or on your home page. Creating an account costs us some time, but not more than any other account. We do not have to involve any additional resources, although in my opinion it is worth doing if we like the project. It is worth special care to ensure the security of our account and use a good unique password, because over time, there will appear tokens that have their own value on the market. Probably the most wondering is how you can earn on Steemit. Each post you post is monetized 7 days after publication. This means that you can collect earnings into your wallet after a week. Its amount depends on the strength (not the number!) Of votes received. Of this amount, 25% goes to people who have voted for your post (upvote), and the remaining 75% goes to you. The part that goes into your portfolio is divided into two more and the payment is made in Steem Dollars and Steem Power. Why is this happening? Thanks to Steem Power your account will be strengthened, the voice will have more value and thanks to that you will have more influence on building the community. Steem Dollars can be exchanged for physical currency at any time or used to increase your Steem Power. The information I have presented to you is just the basics necessary to start your adventure at Steemit. I am also aware that some things are unclear, because I was going through it myself. I can assure you, however, that as you penetrate the community, everything will become more and more obvious to you. Particularly insightful is also to read the official Whitepaper document or its abbreviated version called Bluepaper, which explain the entire essence of Steem's action.